John Swinson's principal interests are intellectual property law, Internet law and the application of law to new technologies. John commenced as a part-time professor at the T.C. Beirne School of Law in November 2017. John is also a partner at King & Wood Mallesons. John graduated from the T.C. Beirne School of Law in 1998 with a University Medal. He also has a Bachelor of Arts majoring in computer science from The University of Queensland and a Master of Laws from Harvard Law School where he studied as a Fulbright Fellow and a Frank Knox Scholar. 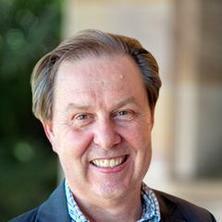 From 1999 until 2017, John was an adjunct professor at QUT. John is currently Chairman of the auDA Policy Review Panel, which is making recommendations to the auDA Board to revise Australia's domain name policies. Since 2000, John has been an arbitrator for the World Intellectual Property Organisation (WIPO) in Geneva, and has decided over 350 disputes regarding the ownership of domain names.